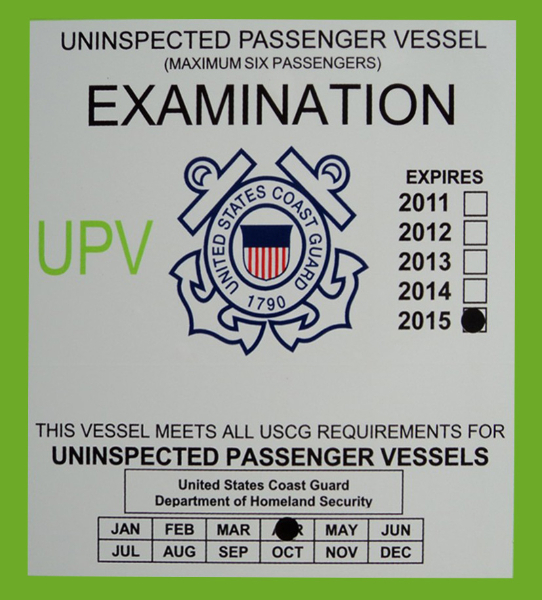 On April 18, 2013 the Hooked Up II and crew received the highest level achievable in the Uninspected Passenger Vessel Inspection program from the United States Coast Guard. 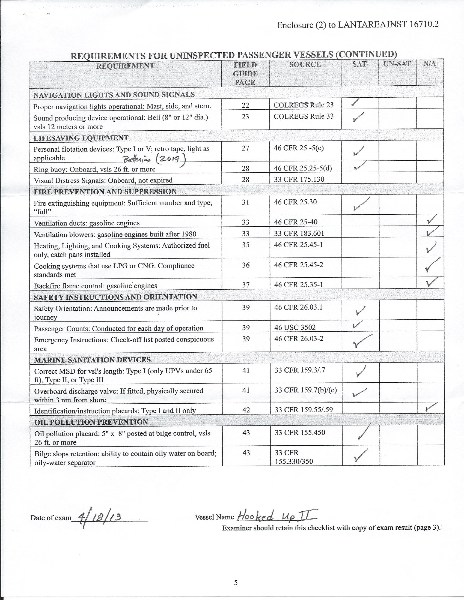 With this inspection, we can assure you that you are on one of the safest charter boats you can be on. See the Placard given to us by the U.S.C.G. 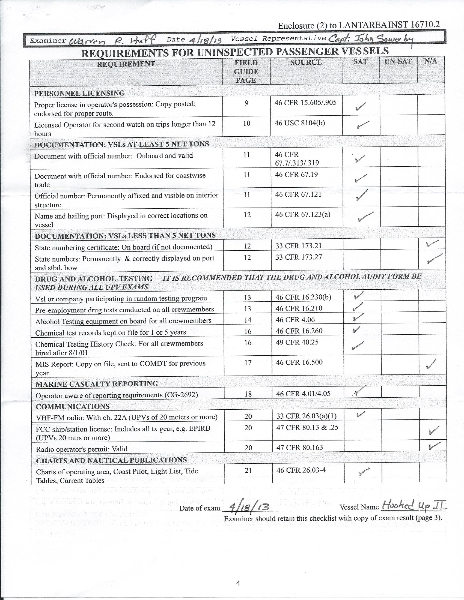 as well as the documentation for the checklist they provided below. Does company have a drug testing program? Does the employer have evidence to verify? Approved alcohol testing devices on board.